In other news, the screen adaptation of Ben Fountain’s novel Billy Lynn’s Long Halftime Walk has found a director. Ang Lee, whose previous films include Brokeback Mountain and Life of Pi, will work with screenwriter Simon Beaufoy to bring this 2012 National Book Award winner to the big screen. Karen E. Bender, who will read at UNCW on Thursday, October 16, has a new essay, focusing on “Taiwan’s Incredible Edible Revolution,” on Narratively. 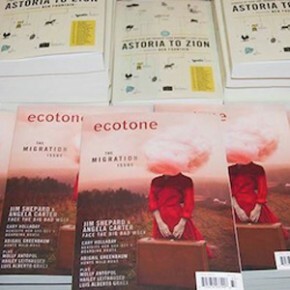 Ecotone’s fall Sustenance issue, due out later this month, features beautiful new writing about food, farming, and nourishment by Randall Kenan, Alison Hawthorne Deming, Camille T. Dungy, Ron Carlson, Camas Davis, Toni Tipton-Martin, Aimee Nezhukumatathil, and Matthew Gavin Frank, among many others. We’ll celebrate its release on Friday, November 7, in Wilmington with a ticketed farm-to-table supper in collaboration with our friends at nonprofit food system initiative Feast Down East. Inspired by stories and essays in the issue, the menu features ingredients sourced from local farms. Tickets are going fast! Get yours today. Want a sneak peek at the cover of the fall issue? 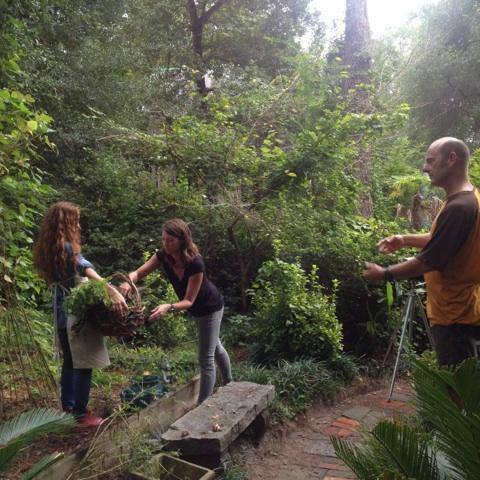 The art team had a great time in Castle Hayne a few weeks ago, shooting with photographer Harry Taylor. Don’t forget to follow us on Facebook and Twitter to stay up to date on news throughout the week. Also, take a look at our Pinterest boards for some of the visuals that inspire us. Until next week, have a lovely fall weekend!